Line a large sheet pan with parchment paper. Place the vegetables in a single layer on the sheet pan. Drizzle with olive oil and season with salt and seasoning. Roast vegetables for 40 minutes or until tender. Add more salt and pepper if needed. To assemble the Buddha bowls, spoon quinoa into bowls. 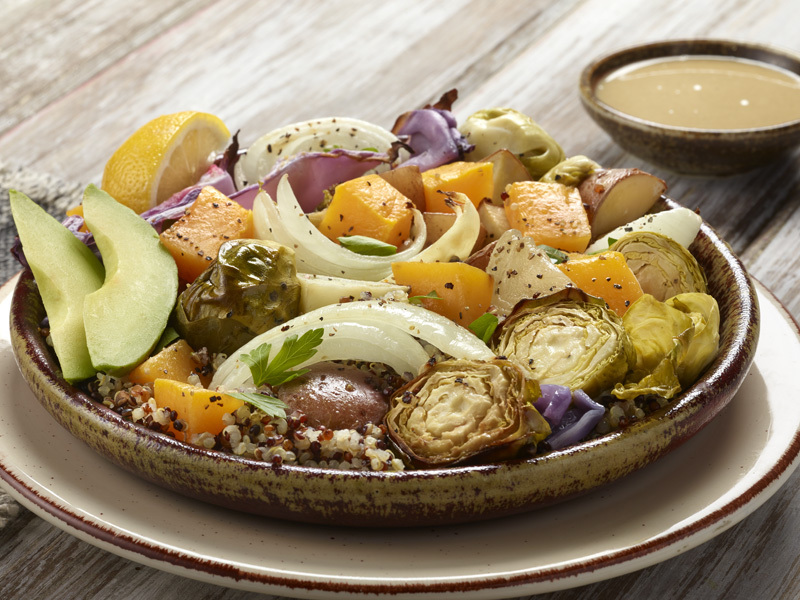 Arrange roasted veggies on top. Add avocado, and parsley. Drizzle tahini sauce over.